Nice use of Aviano Sans! I looked at this and immediately thought of Coca-Cola due to the color scheme. I guess it might clear up confusion being in the alcohol aisle, though. My mistake, it’s an energy drink not alcohol. Didn’t read carefully enough. 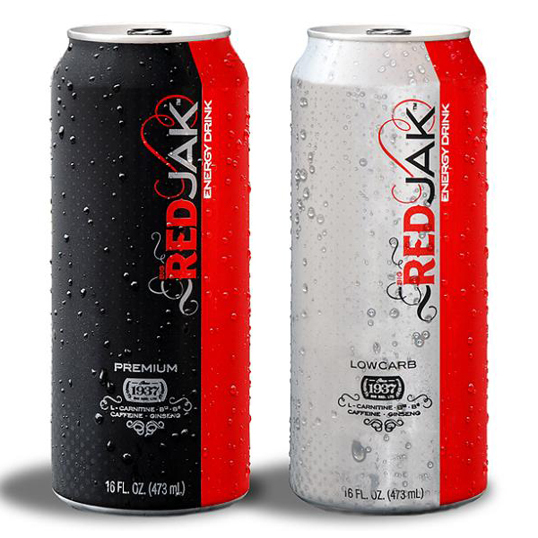 I guess the new design did not help much since Red Jak seems to be completely off the market.